This post was sponsored by Progressive. Over the last few years, we’ve come to recognize Progressive Insurance thanks to Flo, the Progressive girl. Initially, when the company first began in 1937, it focused solely on auto coverage. Over time, the Ohio-based company stayed true to its name of being a progressive insurance company, and thus, expanded its services beyond vehicles. From golf carts to condos, customers can obtain coverage for some unique circumstances in addition to standard protection. They were the first major auto insurance company to have a website, they continue their history of innovation with a new service: HomeQuote Explorer. HomeQuote Explorer is a free online quoting experience to help homeowners compare home insurance rates. Think Trivago for hotels, except it will show prices from multiple insurance companies side by side. Not just that, but when you do enter your information, HomeQuote Explorer will match you with the best policy for you based on your information. Currently, Progressive is the only insurer that offers anything like this, according to their website. You start the process by entering the address of your home to their search bar on the site. Progressive then pre-fills any information they find based on public records of the house, which helps you save time. Their questionnaire also includes images to assist in the process of answering questions about your home, such as your roof type or flooring details. Once you’ve completed the assessment, they’ll match you with what they feel is the best policy based on your answers. However, you do not have to choose their recommended. They also provide you with alternative rates and coverage to review – side-by-side comparisons of rates and coverage from multiple companies so that you can ensure you’re getting the best deal. As you finalize your decision on your new home’s insurance option, you can simply buy it online or call Progressive to speak with a licensed agent. On top of comparing your rates, they will even take care of the details with your mortgage company for you if you prefer. They’ll send a proof of insurance and coordinate the details, allowing you to lump in the payment to your mortgage rather than paying Progressive directly. The information regarding their service is also very clear and easy to find. Their FAQ page answers just about any question you might have about the process, which is something I truly appreciate. The biggest con for me, personally, was that the HomeQuote Explorer was still relatively new when I gave it a try so there were still a few quirks. Using my current address, I went through the process as though I were buying my place. As I went through and filled out the information for my home insurance quote, the images the promotional video showed were not present. It was their old questionnaire that also did not have an auto fill option as promoted. When I tried again, however, the new screen and features did appear. After going back and taking a look at the newer version of HomeQuote Explorer, this issue was resolved. Another con I experienced was that the HomeQuote Explorer didn’t directly provide the homeowner’s insurance but rather partner with other companies to do so. Thus, they are limited in the discounts they can offer. Progressive is a trustworthy company and continues to deliver a quality service. I can say this confidently as an auto insurance policy holder for the last three years. Regardless, it would still be wise to research other home insurance policies before purchasing through the HomeQuote Explorer. It does appear that some glitches are still being worked out. All in all, the tool was easy to use and helpful in giving me an idea of one of my options for home insurance. Put together a monthly budget. Those who have a budget in place are more likely to win with money. Even Dave Ramsey thinks so. If you want to know an efficient way to create yours, read this. Create a schedule for your bills. Have a calendar visible in your home throughout each month on which you mark when and what bills are due. If you can, you should try to automate your payments to really ensure that they are being paid on time. Remember, your credit report not only tracks your history but also your capability to make payments on time to creditors and bill collectors. Despite having bankruptcy on your record, you’ll be able to win back the trust of lenders by consistently paying your bills on time. Start building an emergency savings. You may be tempted to try to increase your funds by investing, a common recommendation for building wealth, but hold off until you have an emergency savings in place. This is one of the ways you’ll be able to provide yourself with some security in case something should happen. Eliminate unnecessary costs. I’m not saying you should live in a hole until you’re in good standing with creditors, but if you want to recover from bankruptcy, you need to recognize what expenses you have each month that are not necessary. Limit the number of times you go out and, if you need new clothes or merchandise, consider purchasing them used or up-cycled. Thrift shopping has become so much easier now with the power of social media. In fact, you can also sell some items you no longer need to pocket some extra cash, which can then go directly into that emergency savings fund. Although it may be tempting, be leery of companies claiming they can quickly repair your credit, especially if they claim little to no obligations to you. They may offer to consolidate your debt and charge you fees that may end up costing you more in the end. Elisabeth Leamy, the ABC News Consumer Correspondent, wrote in this 2008 article that nobody can erase negative entries on your credit report, which are not the same as credit mistakes. (Those you can fix yourself.) During the time the article was written, the recession was in full force and the Federal Trade Commission noticed a resurgence of credit repair schemes. These schemers still exist, so steer clear of the ones that especially promise they can fix your situation fast no matter the circumstance or try to charge you upfront. A common myth that comes with bankruptcy is that you cannot get approved for any type of loan or credit card following this red mark on your credit record. While it won’t be as easy as it would for someone with a high credit score, you can still borrow money from lenders; you just need to be smart about it. Opt for a secured credit card, which is great for those trying to rebuild their credit. Just remember to make your payments on time and pay off your balance each month. Bankruptcy Attorney Robert Weed recommends using it for regular expenses you would buy anyway, such as gas and groceries. He also advises to obtain a secured loan by your share savings account from your local credit union as a way to rebuild your credit, as long as they were not one of the lenders to whom you previously owed money. By doing this you pay interest on your own money, but it’s a great way to rebuild your score, he claims. 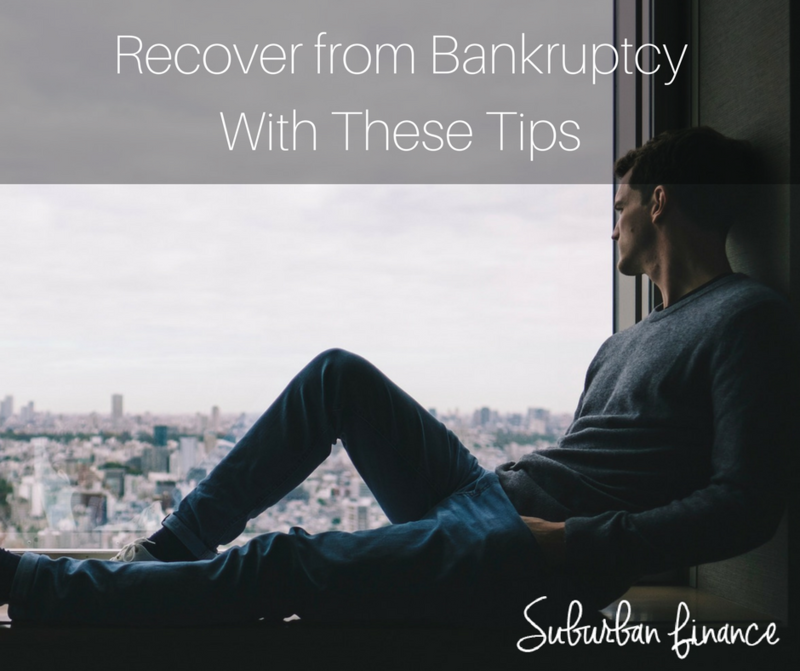 If you need to recover from bankruptcy, just remember that it is possible and there is hope; you just need to dedicate yourself to put yourself back in good standing and recognize negative spending habits that may put you down a bad path again. Do you have any experience with bankruptcy? What tips would you add? When you’re in over your head with debt, everything seems overwhelming. It takes over your life in many ways. In fact, according to Health.com, it affects both your physical and mental health. In a 2014 article by Amanda MacMillan, those with greater debt were shown to have higher blood pressure, which can lead to heart disease, as well as anxiety and depression. In addition, because of the stress that comes with debt issues, it is thought that it could possibly be a contributing factor to a suppressed immune system, the article adds. Declaring bankruptcy can be a solution to a clean slate, but it does not come without consequences. 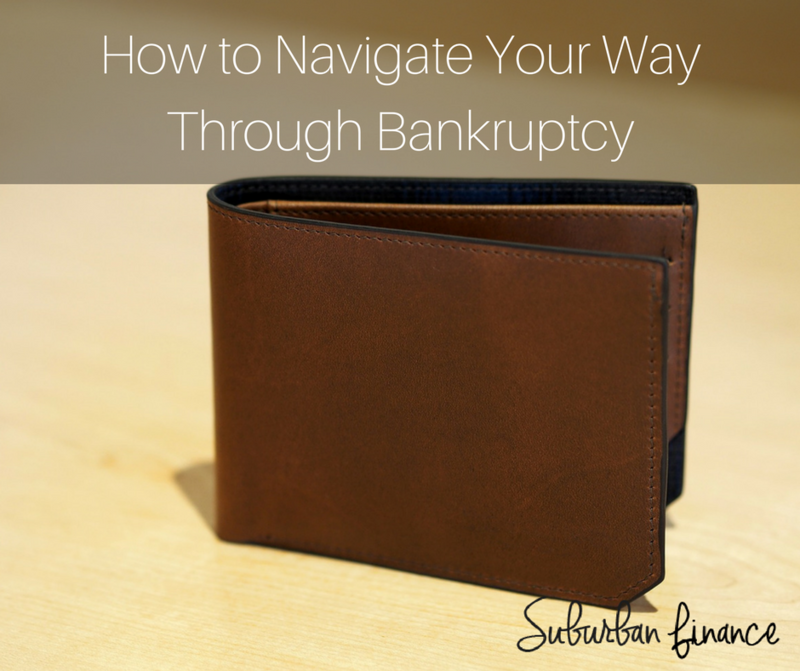 If you feel this is the route for you, you’ll need to know how to navigate your way through bankruptcy. In today’s article, I discuss what you need to know about the process so you can determine if it’s the right choice for you. Understand what filing means. Before looking into this as an option, you should understand what filing for bankruptcy implies along with what type of debt you have. For instance, your credit card debt may be wiped clean, but your student loans and secured debts would not qualify. Note: Only in cases of extreme hardship will your student loans even be considered, and even then, it is highly unlikely. Determine what brought you here. If you do need to file for bankruptcy, think about what actions have brought you to this point. From paying monthly bills late to using credit cards to pay off other credit cards, you need to be able to recognize where the problem stems so that you can take steps to avoid this situation in the future. Contemplate filing when facing home foreclosure. Filing for bankruptcy when facing home foreclosure can actually help protect you from foreclosure proceedings. And, as reiterated in this AllLaw.com article, you will want to do so before foreclosure rather than after. This will save up some time for you to work with your mortgage company to work out a loan modification or refinance so that you do not lose your home. If you file after, the article states, you run the risk of not having your tax debt eliminated, not to mention it won’t prevent creditors from pursuing collection activities. Consult with a personal bankruptcy attorney. It is best to always consult with a professional when possible, and many provide the first meeting at no charge. 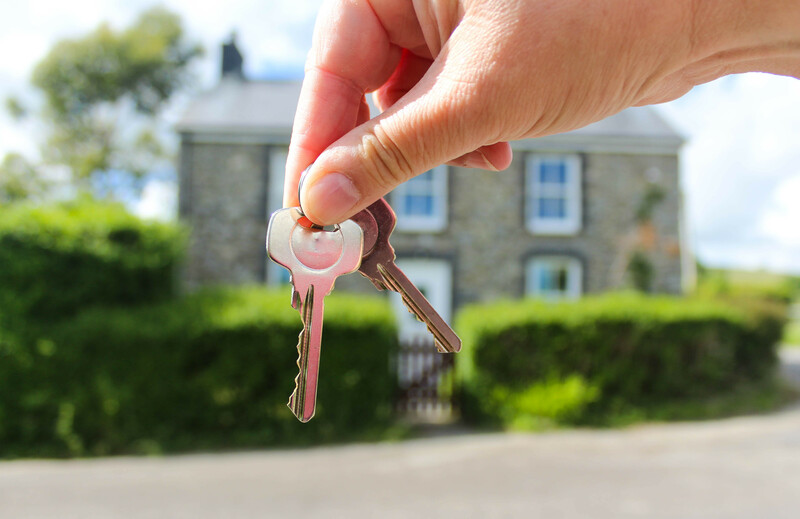 By doing so, you should at least obtain enough information to know what will be best for you or how they may even be able to help file in the case of a home foreclosure threat (as mentioned above). Although paralegals are well-educated and professional, they cannot give legal advice legally, which means you may not get the answers you need. This is why an attorney will be a better choice. Be leery of information from bill collectors. Some bill collectors may try to steer you in the wrong direction by telling you that regardless of your filing for bankruptcy, you’ll still have to pay them. However, they are likely misleading you in an effort to be paid. Most of your bills will be covered depending on the bankruptcy option you file. Stop paying bills that will be eliminated (but don’t run up all your credit cards). While you should stop paying on the debt that will be discharged, you should not exhaust all the money on your credit cards during this process. This looks bad to the judge working on your case and will hurt you in the long run. Instead, save money from the bills you’ll no longer have to worry about and pay toward the other bills that will remain. Immediately start working on building your credit. Depending on the type of bankruptcy you file for, your credit may or may not be affected for up to ten years. When you file Chapter 7 bankruptcy, it likely will stay on your record for ten years; however, you can still work on reestablishing your credit. Pay bills on time or in advanced as up to 35% of your report is calculated based on payment history. There are other ways you can put yourself in good standing, which you can read about here. Additionally, make sure after then ten year mark that you contact the credit reporting agencies with your discharge notice to ensure they remove this from your record at that time. The above are just a few ways how to navigate your way through bankruptcy, but hopefully, you only consider this route as a last resort. Make sure you reach out to friends and family to explore your options as it will be important to have a strong support system during this time, especially with how financial stress can affect an individual in more ways than one. Have you ever had to file for bankruptcy? What was your experience?